As you are putting your page together, consider recording the time they get out of the house, the driver, funny things that happen on the way to school, anything that they might want to remember later. And if it takes more than just one page, that's okay too! For many of us, school is now in a good rhythm. First days were photographed. First outfits have been washed. First nerves are calmed. And now all that's left is the recording!! This week, I thought we might brainstorm some ideas for creating pages about school. Not just first day pages, but of course, that is a fabulous place to start. So let's! shall we? I think back-to-school pictures are a timeless thing. They transcend hobbies, hometowns, or decades. Everyone just seems to take them. I had a neighbor who got her camera out for Halloween, Christmas, Easter, and the first day of school. So many things to write about. Which one will you choose? For the big, I decided to to a moment in time. A sentence for where we were, a sentence for where we are going, and a few extras. Nothing fancy. For the middle, I talked a bit about how she put a smile on despite her fears for the day. How about you? Will you make a first day layout? Or maybe you already have. I'd love to see them! 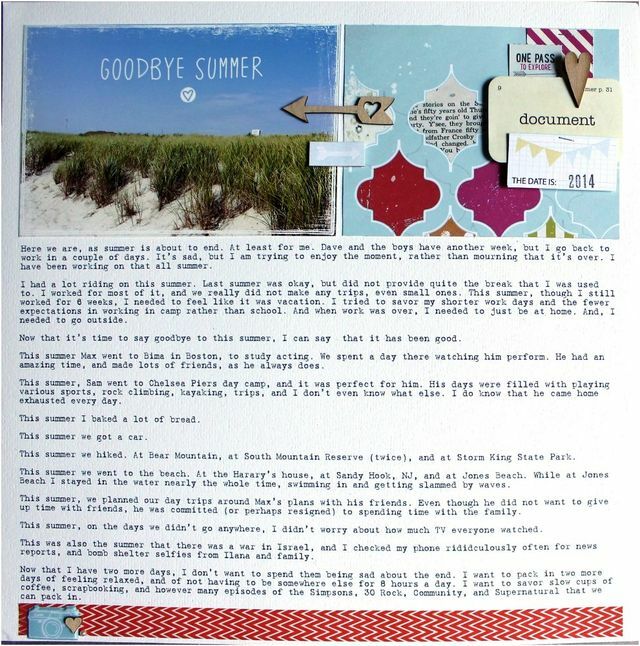 This is Amy Sorensen, and I have a hard and fast rule about scrapbooking in the summer: I don’t get started on any vacation, summer activities, picnic, hiking or other warm-weather layouts until I’ve made a school summary layout for each of my kids. I journal about the major points of their school year: big projects, memorable experiences, unique activities. I try to get down some little details too, like where their locker was or how they got back and forth to school. Also favorites: teacher, class, friend, lunch item. I wish I could remember those stories from my own school years, but most of the details have blurred together for me. (Although I do have some pretty good stories from junior high, one involving my math teacher sighing and saying, “Amy, are you ever going to be on time?”) Since I can’t remember mine, I make sure to get down my kids'. Since I have teenagers, sometimes it’s a little bit rough to get them to cough up any stories, but with a little prying (not to mention some texting and Snapchatting) I’ve managed to get the details. Or at least the ones they’re willing to tell me! If I follow my rule and make the layouts first thing after school gets out, the stories are still fresh. It just requires a photo on the last day of school (again…with teenagers this takes a little bit of finagling, and this year I had literally one photo to scrapbook with…but it is worth the stress!) and some time spent talking with your kids about their year. Here are the school summaries I made this year. I realized after I wrote the summary list of 4th-grade details that I still had a little story to tell, so I added a paragraph of text that tells what happened on the last day. A few hours after I finished this layout, I remembered a whole bunch of other stuff I wanted to add to the detail list, like what he learned in art and some funny things he said throughout the school year. I just wrote them down on the back of the layout! I will be so sad when I run out of the script alphabet stickers I used to spell "the end." They are some old ones from Webster's Pages, and I bought two sets of every color, but I use them a lot, and they're almost gone. Yep, same picture. I told you...teenagers are hard to photograph sometimes! If you want more ideas for making your own school summary layouts, you can also read this post. And with that to-do item checked off of my scrapbooking list, I'm moving on to some summer layouts. Happy scrapping! Happy Saturday! Today is a the first Saturday of our month of sketches from the September 2009 gallery. First up, we found a layout by Francine Clouden. There is something unusual about how the layout is based around a horizontal band, yet splays out vertically in a very unique yet symmetrical way. Too good to pass up. Here is the sketch that we made to help. 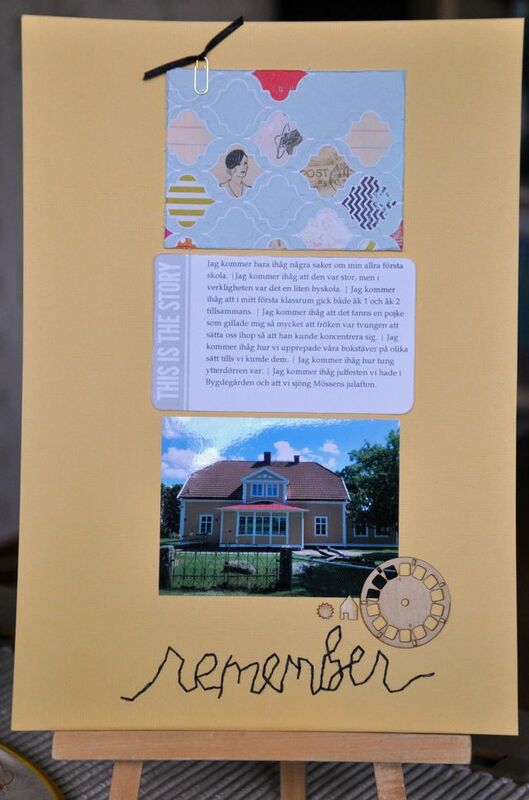 Marnie put together a layout using the sketch, staying close to the basic elements, with the exception of putting the journaling on top rather than inside the envelope. And then she might have made another. Because the sketch was awesome! We hope that you have fun with the sketch! Thank you, Francine, for a lovely starting point! September is upon us! We are looking forward to apples, changing leaves, blue skies, and schedules. And increased scrapbooking!!!! Hooray! We hope that it makes for a fun month to have a theme as well as our gallery. Let's go look at the lovely layouts, shall we? And as a reminder, if you want to read the journaling and see the layouts in a larger format, please click on over to the gallery album, Back To School II. This layout is less about the start of school and more about the end of summer, because my kids don’t start until after Labor Day. Turns out I had a lot to say on the matter. I am having fun working on making my planner for this coming school year. 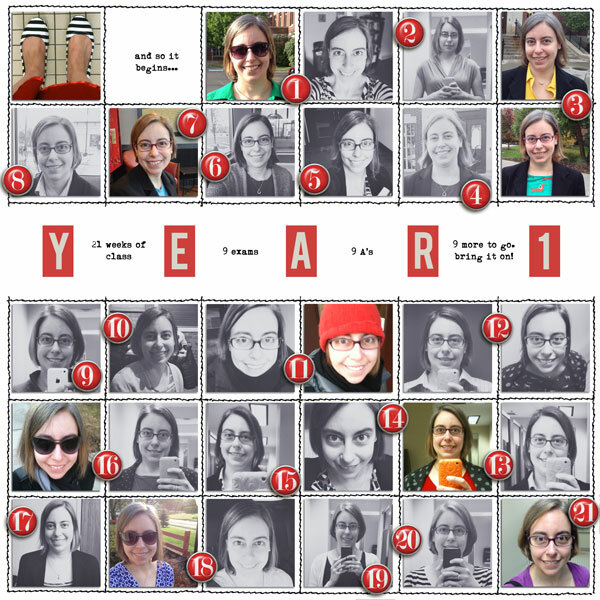 Because we are past the going-back-to-school phase of life, this layout documents my own photos from elementary school. My favorite time of year is finally here. It's college football season! I love that we drove through the little town where my very first school is this summer. I haven´t been there for like 10 years! I finally got started on my sons’ school scrapbooks. This is the 4-page layout for my younger son’s Kindergarten years. 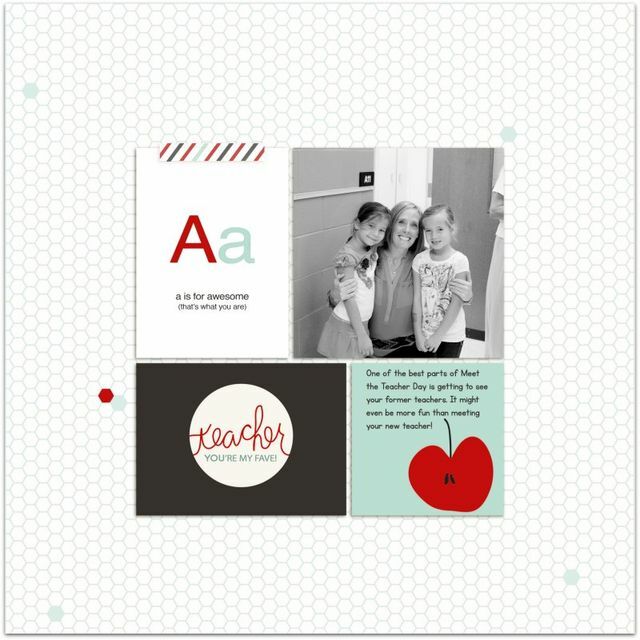 I took inspiration for the scrapbook idea and page design from Cathy Zielske in the book Clean and Simple 2 and Stacy Julian's The Big Picture. One page for thee school photo and details (grade/teacher/school), one page for photos from the year plus journaling, one page for class picture, and one pocket page for various representative school and life papers from the year. I used the same basic layout and line of products for each grade. I have finished 2 grades completely and just have to select and print photos for the other 3 years. By the way, my son helped me pick out the products, photos, and papers for the pocket page—perhaps my favorite part of finally starting this project was getting my son to help me! My younger son is now in 5th grade, so these papers and photos have been sitting around for 5+ years. Since my One Little Word this year was DO, I used that word to motivate me to finally start the albums. So if you have wanted to do a school album but are worried it is too late to start, trust me: it can be done! This layout I wanted to keep the focus on the photos. A simple design and fun frames lead the eye straight to the photos! This is the first year all 3 of my boys will be school full time! I’m not sure what I will do without one of them here with me. Scrapbooking perhaps!? This layout is a timeline with a photo of my daughters first day of first grade and her first day of ninth grade. I just wanted to have the two photos on the same layout as a comparison, so I just added scraps of paper and labels between them. Sometimes it is fun to make a layout without writing an important story, but just to play with paper! I love summer, but feel ready to light some candles and take chilly walks. When I bought these tall gold alpha stickers, the lady at the scrapbook store said "I love these but I don't know how anyone will ever use them." Now I'm sort of on a mission to use them up! I'm consistently surprised at how neutral gold is...good for both girl and boy layouts. I've been looking forward to Starbucks getting pumpkin back since January. It's finally time! I love the new Jubilee line from My Mind's Eye. I knew when I spotted the blue striped paper it was perfect for my son's back to school photos. Then it's really just a basic 4 square grid layout with one of the "squares" filled with embellishments instead of a photo. I love that my son is going to the same elementary school that my husband and I went to. Go Vikings! Back to school it is. I got used to the more relaxed schedule of summer, but I am looking forward to fall weather and colors. This layout is about all of the things that my oldest son is really interested in right now. I find Back to School is a great time to record these types of things as so many of their interests pop up in the clothes and supplies that we buy before school starts. I made a goal at the beginning of this year to read 14 books in 2014. I got off to a good start but my progress stalled a little over the summer. I'm hoping now that my oldest is going to a full day of school, I'll be able to find a little bit more time for reading--I guess we'll see?! It’s my 18th wedding anniversary this month. For twenty, my husband has agreed to an Italian getaway. I cannot wait! This layout is the last first day of high school layout for my kids…how time has flown by. I have a goal to do some major closet cleaning and purging this month… wish me luck! This layout was fun to play with and pull together. I enlarged the clock brush to make it the background of the layout. I added another brush underneath the 5 to highlight the grade number he was starting on that first day! I am so ready for all the things that come along with back to school time! Routine, schedules, homework, soccer games, cooler temperatures & lots of fun!! I found these awesome little cards for free! I was so excited to find school things that looked a little more grownup. We had a really long summer break this year and are all happy that school is back in session! That's it! Another amazing gallery brought to you by our fabulous team. Please leave some love and we look forward to a month of learning! Welcome to our last week of summer posts for the year! I hope your summer is winding down nicely and you (like me!) are looking forward to those first blissful weeks of autumn weather. 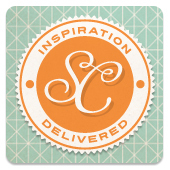 Amy Sorensen here, with a Write post to get some journaling ideas flowing. 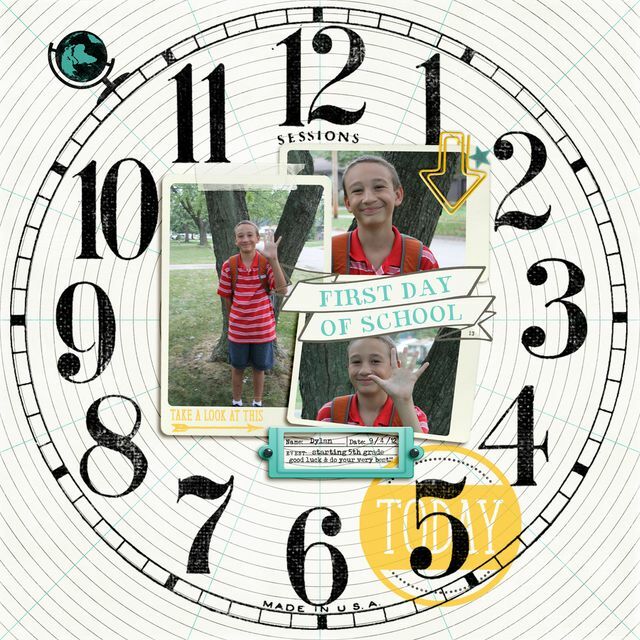 I thought Amy Kingsford's three posts last week about scrapbooking our first day of school moments were so inspiring. They made me think about the layouts I’ve made about my kids’ first days, and those I have left to make, and what I’ve written down, and what I haven’t. I’ve got lots of details about teachers and classrooms and what grade they’re starting…but not enough of the other details. The stuff that makes every day unique. 1. The morning routine. What time did your child get up, and how did that first wake-up-early thing go? What did you make for breakfast? What problems did you have? How was it different this year? 3. The shoes. I can’t explain why, exactly, but for me there’s just something so melancholy about the first time they put their new school shoes on. No more flip flops...no more slide-on-your-shoes-and-race-out-the-door adventures. But structure. And shoelaces. 4. The backpack. I don’t buy new backpacks for my kids every year—I try to get three or four years out of each one. So when they DO have a new pack? It’s pretty exciting. But it doesn’t have to be just the pack. What’s inside? The usual supplies, of course. But maybe a little encouraging note from mom? Or a toy they don’t know you know is there? 5. The supplies. What was on their list? What was hard to find? Where did you shop? 6. The real story. Sometimes it isn’t in the morning or the actual first day. Sometimes the memorable story happens at back-to-school night. Or at 3:00 a.m. the night before the first day. 8. The first-day afternoon. How did your children feel at the end of the first day? What stories do they share? 9. The learning. I love asking my kids what they learned on the first day. My teenagers will always give me a sarcastic answer. Elementary kids are much more sincere, but every answer says something about where they are right now. 10. The mom. How do you feel about your child’s first day? I hope your first-day-of-school adventures are good ones! Hi everyone and thanks for joining me for the last couple of days! In today's post we're going to talk about ways to bring our stories and our photos from back-to-school together on a scrapbook page. Below I'd like to share a few of the pages that I've made over the years, as well as a few pages made by some of my fellow Write.Click.Scrapbook team members. 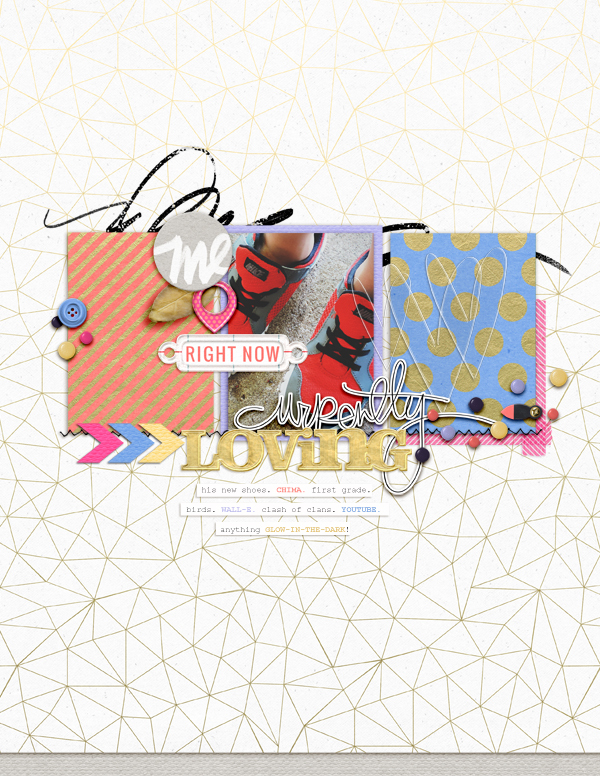 And in the process of taking in a bit of inspiration, we'll also discuss a few specific approaches you could take in your own back-to-school scrapbook pages. Here I've paired a few of my favorite photos of my son outside of our house on his first day of Kindergarten with a short checklist of everything we did to get ready that morning. And here I recorded his class' routine on his first day of preschool. You can just feel the excitement that Jennifer Larson's boys have for going back to school in her page, "Late Summer Joy." Amy Sorenson recorded her feelings of excitement, anticipation and even fear in this wonderful double page layout, "His First Day Is Also Mine." In my page "Can I Come Too?" I chose to focus on my youngest son's feelings about his brother going to school. While I think he was very excited, he was also pretty lonesome without his big brother and maybe even a bit jealous. 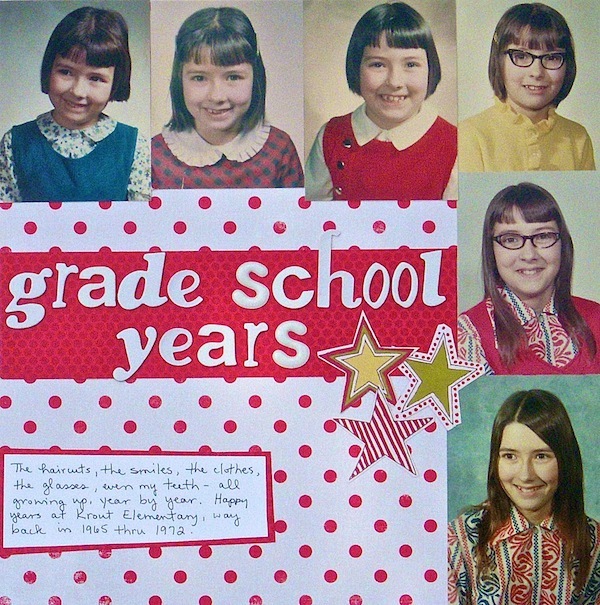 Here Jennifer has combined several key back-to-school memories on a single page. She's used photos of her boys' first day outfits, shots with their new teachers and one of the two of them together with a list of important details about each. And here I've combined my favorite moments from my son's first day of Kindergarten on a 11 x 17" spread. And finally Jennifer shows off her school pride in this page--what a fun idea for kids and teachers alike! These of course are only a few of the approaches that you could take to get your back-to-school story scrapbooked--but they're a great place to start! 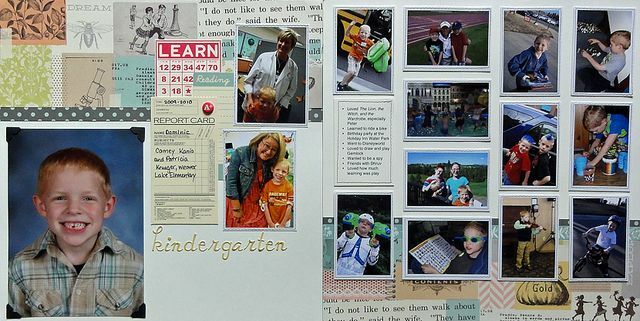 Thanks to Amy Sorenson and Jennifer Larson for sharing their pages with us and I can't wait to see how you choose to record your back-to-school memories! Hi everyone, Amy here and welcome back for another day of Back to School reflection! I have a printable photo checklist for you, as well as some helpful tips, but first, let’s consider for a moment the role that we want photos to play in our Back to School memory keeping. For me photos play a pretty big role in documenting our “Back-to-School Story.” And as a result I typically plan an extra half hour into our first day and have a small list of planned photos that I like to take each year. Certain photographs I aim to take in the same spot so that I can effectively capture physical changes that occur from year to year. These photos of my son were taken by our front door--the first one in 2012, then in 2013 and again this year. With a similar background in each photo, I think the differences really pop! There are specific things I like to capture each year to show how my boys’ interests change over the years. I've also tried to make a habit of documenting his first activity in class each year. These are just a few of the photos that I take each year, but they've become an important part of capturing our "Back-to-School Story." Below is a photo checklist that you can download with plenty of ideas to help you visually record your “Back-to-School Story”. This is an all-encompassing list of which some of the photo ideas may not interest or apply to you, but this way there are enough ideas for everyone to find one or two to try out this year! You can download the printable checklist here. In conclusion I'd like to leave with some final bits of advice to help you prepare for capturing those back to school memories. Think about getting haircuts and/or selecting outfits beforehand. To avoid showing up late for the first day, remember to plan time into your routine for photos or consider taking some of the photos on another day or possibly even after your kids return from their first day at school. Think outside of the box and try out different angles and perspectives. Get in close to record the details. Take time to sit back and capture the emotions associated with going back to school. Consider adjusting your camera’s ISO for indoor photos, this should help you to combat the unflattering effects of florescent lighting present in many schools. If the thought of dragging out your “big girl camera” and all of your equipment feels like too much of a hassle, consider using your trusty point and shoot or even your phone to capture a few back-to-school shots. Join me tomorrow for lots of ideas and inspiration for piecing together your Back-to-School stories and photos on your scrapbook pages, I look forward to seeing you! Hi All! Amy here and it’s Back-to-School Week at the Kingsford-Collard home--so I’ve decided to focus on that during the next three days that I’ll be spending with you as your Write.Click.Scrapbook hostess. Back-to-School time has always been a big deal for me ever since I was a child. And so it has become a part of my family’s life that I take special care in preparing for and documenting. As a result I enjoy sharing our story with others via blog posts, scrapbook pages and the likes. In fact every year I typically write a big blog post heavy on words and photos, documenting the event—from finding the perfect new backpack and shoes, to this year’s homemade teacher gift, to my own excitement and anxiety about the triumphs and challenges that lie ahead for my boys. If you're interested in taking a look here are links to my Back to School 2012 Post and my Back to School 2013 Post. This year, however I found myself a little overwhelmed by the task of putting together a “big Back-to-School post.” You see my son broke his arm this last week and a lot of the energy I would have normally put into back-to-school has gone into making sure he’s comfortable and taking special care of his arm so that we might avoid surgery. "Will he be joining his classmates on the first day of school? Or will he be recovering from surgery?" "How will missing out on Back-to-School Night and the first day of school impact his ability to cope with being at a new school?" "How will having a cast affect his learning, participation in school activities and his efforts to make new friends?" All of these questions make it difficult for me to focus on the fun and excitement that surrounds this time, but they also have me realizing that no matter what, all of this is still an important part of our “Back-to School Story” this year. Back to School? 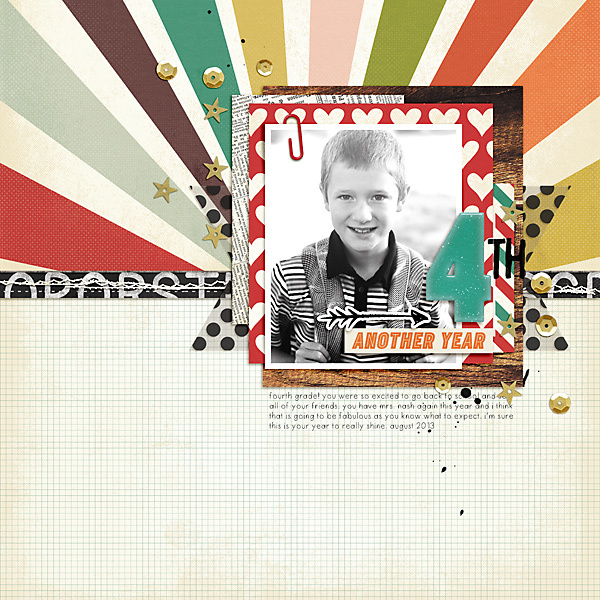 by Amy Kingsford | Supplies: Mommyish Designs and Digital Scrapbook Ingredients: Seek Happiness Collab; Celeste Knight: School is Cool; Creashens: Band of Rubbers; Laura Passage: Filed Away. Back-to-school time has normally been a fun and exciting event for our family in years past. Caleb couldn’t be more excited to start first grade, but for some reason I was a little more anxious about things this year. Caleb was attending his first public school, in which his class size alone would be three times that of his previous class. Every time I drove past his new big school it made my tall and lanky six year-old seem so much smaller. I would wonder if he’d thrive in the hustle and bustle or if he’d simply just disappear. It almost gets to be too much to handle and then I look at my son and he’s carrying around his backpack and picking out his outfit for the first day of school (changing his mind every couple of days) and I realize that he is no less than ecstatic to be starting school--cast or no cast, this week or next. All I have to do is take one look at that smile and I just know that everything is going to be alright! What does your Back to School Story look like? I hope you’ll join me tomorrow for tips on photographing Back-to-School and there will be a printable Back to School Photo Checklist for you too! As we head into the final month of summer, I am so excited to finish a few things that we haven't done yet. Including a few layouts. And to help me (and you!) do that we have three more sketches this month! They will, of course come from our August gallery, and hopefully they are going to help you want to do lots of layouts, too! The layout that inspired our first sketch is from Jenny. I loved the five photos and the even margins between the elements. I added lots of detail to the sketch to make it as easy as possible and as close to the sketch as possible. As I made my layout, I stuck to the sketch pretty closely as I just really liked it. We all know that I prefer my horizontal photos to my vertical, so I did try to tip the layout on its side. I quickly found that it just worked better as built. So instead I went on a hunt for four vertical photos. And surprisingly found some! I am so happy to have this day recorded. These photos really did need a home. And Jenny's layout was the best home, ever! If you would like to take home this sketch for a mere 99 cents, click below! Don't forget the sketches are available for a limited time only. Don't delay! I hope that you will find the sketch helpful and fun! Thank you, Jenny!